Dr. Karabin graduated the Bronx High School of Science and received her Bachelor of Arts Degree in Psychology from the City University of New York at Lehman College. She received her Doctor of Dental Surgery degree in 1981 and Certification in Periodontics from Columbia College of Dental Medicine in 1984 where she has a faculty appointment as a Clinical Associate Professor. Dr. Karabin is a board certified periodontist and a Diplomates of the American Board of Periodontology. This certification is awarded after a rigorous examination by The American Board of Periodontology and is a distinction held by fewer than one percent of the dentists in the United States. In addition to her private practice in Manhattan Dr. Karabin has lectured nationally and internationally on the inter-relationship between periodontal health and Pregnancy including Pre-Term Low Birth Weight. She is also considered an opinion leader on the effects of Osteoporosis, Bisphosphonates and Hormone Replacement Therapy on periodontal health. She is also an investigator for clinical research conducted by leading dental implant companies and serves as a consultant for tissue regeneration companies. 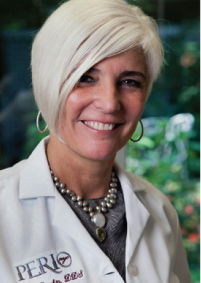 Dr. Susan Karabin is the past President of the American Academy of Periodontology and past President of the Northeastern Society of Periodontists. She is immediate past President of the New York Academy of Dentistry and is a Fellow of the American College of Dentistry. She is also a chairman of a non-profit organization called En Foco which supports the creation of work by photographers from diverse cultures, primarily those of Latino, African, Asian and Native Americans. Dr. Karabin also volunteers for the Donated Dental Services program. Dr. Gottesman received his Bachelor of Science Degree in Biochemistry from the State University of New York at Stony Brook in 1996. He received his Doctor of Dental Surgery degree in 2000 and Certification in Periodontics from the School of Dental Medicine at Stony Brook in 2004 where he has a faculty appointment as a Clinical Assistant Professor. He also received a certificate in Enteral (Oral) Conscious Sedation in 2008. Dr. Gottesman is a board certified periodontist and a Diplomate of the American Board of Periodontology. This certification is awarded after a rigorous examination by The American Board of Periodontology and is a distinction held by fewer than one percent of the dentists in the United States. Additionally, through his efforts in education, research and clinical experience, he was honored with Fellowship status in the International Congress of Oral Implantologists. 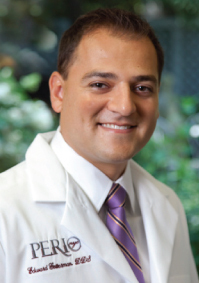 In addition to his private practice in Manhattan, Dr. Gottesman lectures nationally and internationally on implants, bone grafting, periodontal plastic surgery and techniques to enhance patient comfort. He has published articles in peer reviewed journals on gingival grafting techniques for gum recession, techniques for the correction of gummy smiles, and bone grafting techniques for implants. He is also a principal investigator for clinical research conducted by leading dental implant companies and consults for tissue regeneration companies. He was featured on the segment “The Doctor is In” for FOX Network’s “The Morning Show with Mike and Juliet”, for his “Gummy to Glam” procedures. By combining a lip repositioning procedure with crown lengthening he corrects gummy smiles and drastically improves smile esthetics without major jaw surgery. Dr. Gottesman is the current program chair for the Northeastern Society of Periodontists and he regularly volunteers for the Donated Dental Services program.